Marriage can have a significant influence on the amount of income tax you owe, because married taxpayers cannot file taxes as single individuals. Instead, married people generally have to choose to file joint returns or to file under the status "married filing separately." Filing a separate return makes you responsible for reporting and paying tax on your own income independent of your spouse. But while it means you are not responsible for misstatements made by your spouse, filing separately also means you miss out on some benefits available to those couples who file jointly. Your tax filing status determines your income tax bracket, which ultimately determines the total amount of tax you owe. 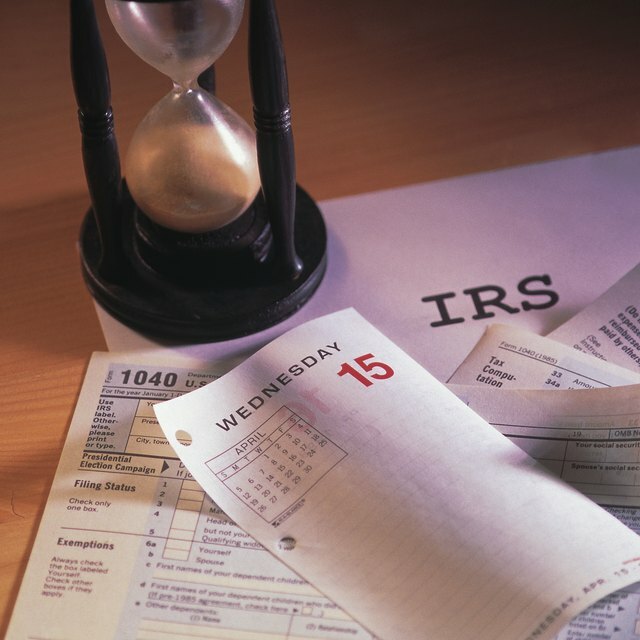 Separate filers face tax brackets that are half the size of those that apply to joint filers. For instance, a separate filer faces a 15 percent tax rate on income earned from $8,701 to $35,350 on 2012 returns, while the 15 percent tax bracket spans from $17,401 to $70,700 for joint filers. For couples in which both partners earn a similar salary, filing a separate return may have a negligible effect on taxes. Filing a joint return tends to save money when one spouse earns more than the other. The standard deduction is a fixed amount the Internal Revenue Service lets you deduct on your tax return if you chose not to claim itemized deductions. When you file a separate return, you cannot claim the standard deduction if your spouse claims itemized deductions and vice versa; you both must choose the same method. The standard deduction for separate filers is the same as the standard deduction that applies to single taxpayers, which is $5,950 for 2012 returns. The IRS offers several tax breaks higher deduction, such as a deduction for tuition and fees and a deduction for student loan interest paid. When you file a separate return, you cannot claim the tuition and fees deduction, student loan interest deduction, American opportunity credit or lifetime learning credit. Credits and deductions for education can potentially cut your tax bill by thousands of dollars, so it may benefit you to file a joint return if you pay higher education expenses for yourself, your spouse or a dependent. Filing a separate return inhibits your ability to deduct individual retirement account contributions on your federal tax return. According to the IRS, you can't deduct traditional IRA contributions as a separate filer if your modified adjusted gross income is $10,000 or more a year. If you make less than $10,000, you are eligible only for a partial deduction on IRA contributions.